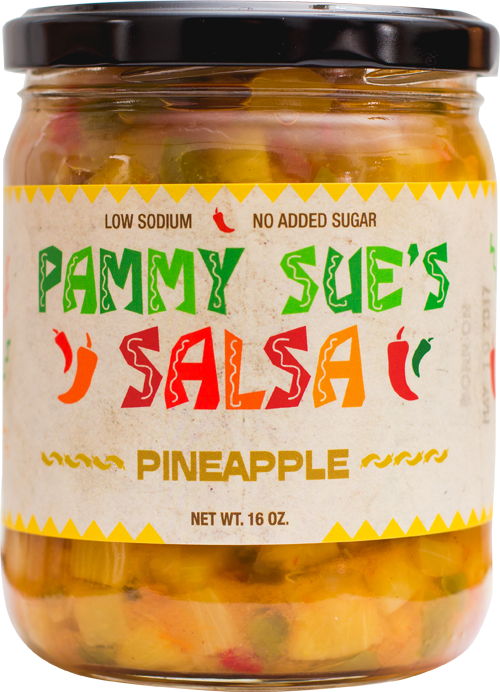 For those who love the taste of salsa but do not want it spicy, now there's Wimpy! 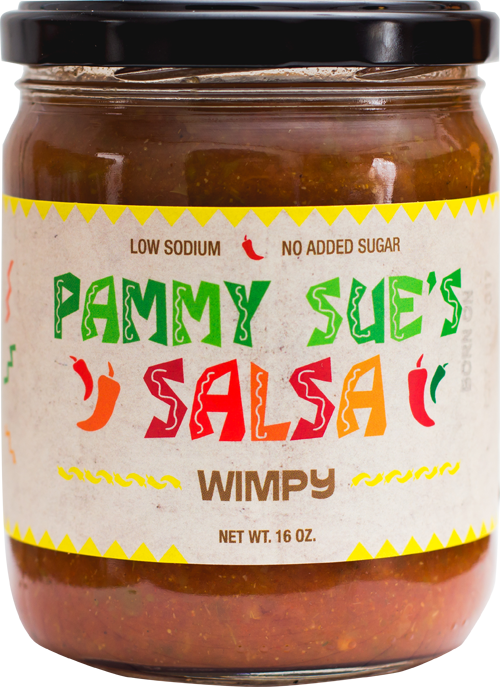 Yes Wimpy is exactly that, all the great taste of Pammy Sue's Salsa but none of the heat. So embrace your Wimpyness and be proud. 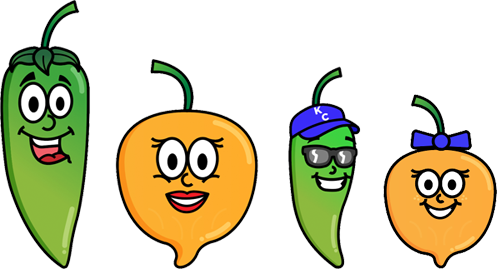 Now there is a salsa for you. 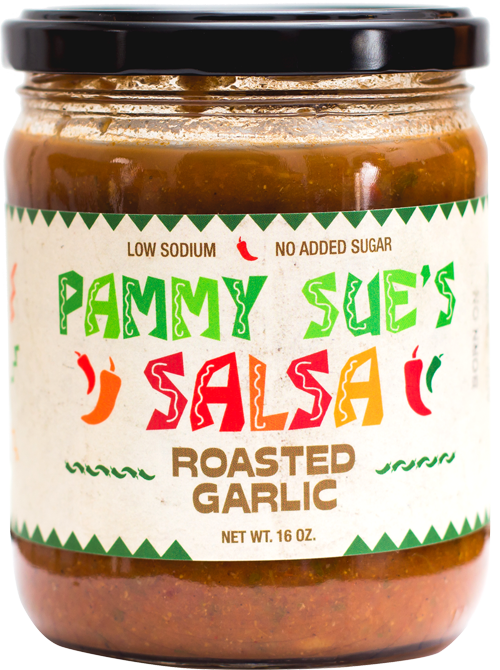 Pammy Sue's Salsa is sure to add a kick of flavor to your next meal, whether you like it hot, or not! Hover over each image to discover more. 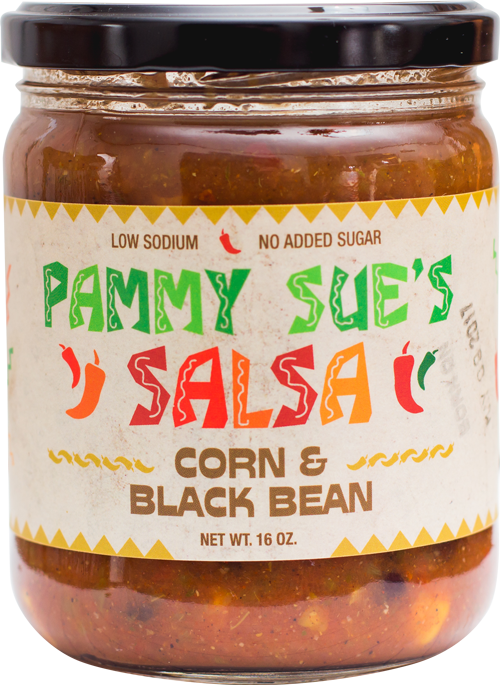 Order your favorite Pammy Sue's Salsa flavors today! View, share, and submit your own delicious recipes! Come see us at the Kansas City River Market every weekend! 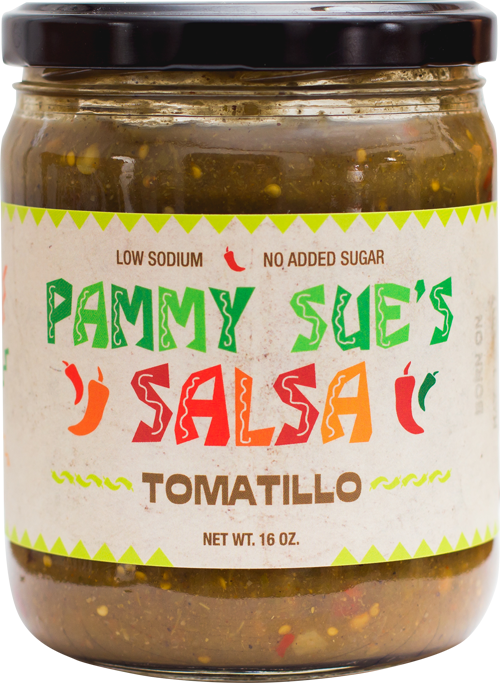 Pammy Sue's Salsa is a brand of delicious homemade salsa guaranteed to add a kick of flavor to your next meal. 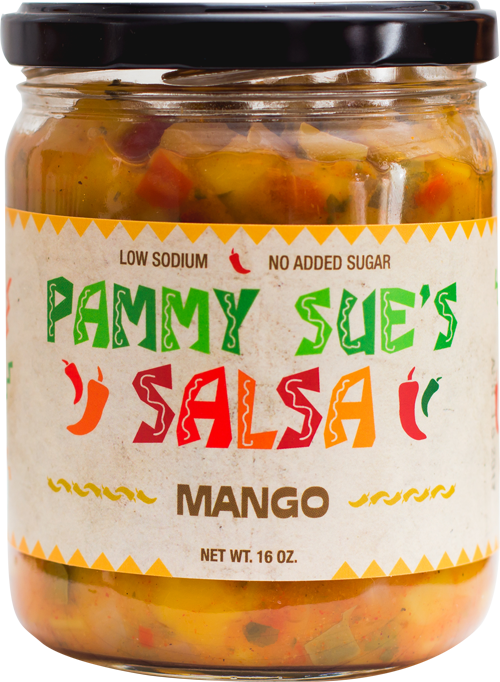 Treat yourself to our sweet, tangy Mango salsa, or if you're daring enough, try our red hot Fire salsa. With 11 flavors to choose from, picking your next favorite might actually be harder than you think. Just ran out of all my salsa... need more SOS! 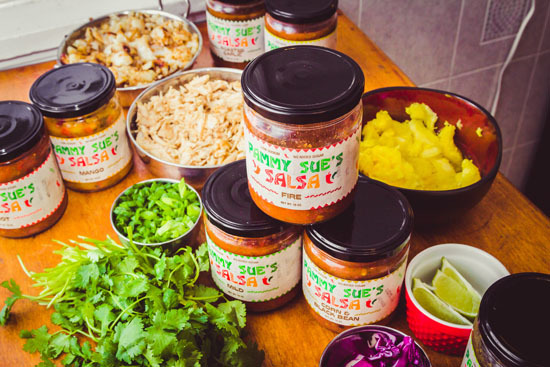 These salsas are amazing! They don't taste anything like the store bought junk. They taste super fresh and full of flavor! I'm super impressed and have like 6 jars in my fridge! 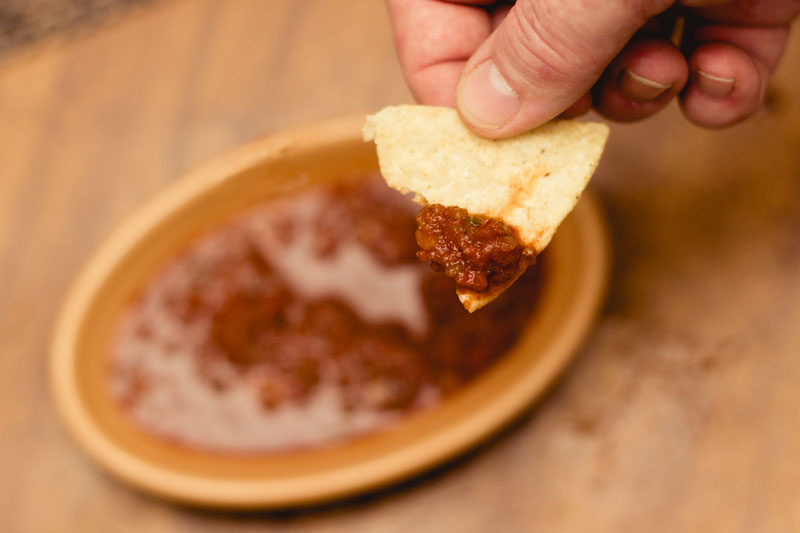 If you haven't had this salsa - you haven't lived yet. 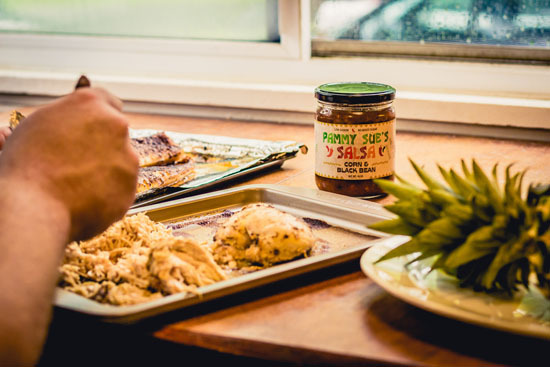 We picked a jar up on a whim at the City Market (because I LOVE salsa). It lasted a whooping four days in our house and it's somehow GONE. I am actively rearranging my schedule to figure out how I can make it back down there to buy more!! At least I know I should buy at least 2 jars now to get through the week. :) Fantastic!!! Love this salsa!! I picked up a jar on a whim during a visit to River Market - tomatillo to be specific and it's SO good! Look forward to trying other flavors as well. Keep up the good work! 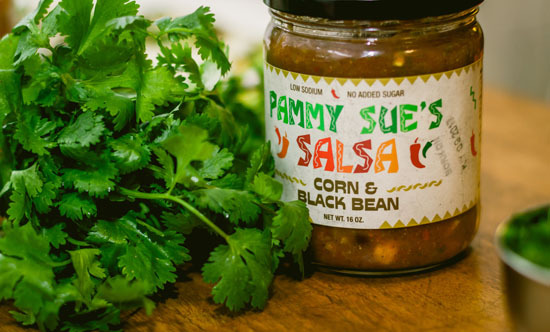 Love, love, love this salsa! Tried it first time at the City Market and had a pleasant surprise to find it at the HyVee by me. I had to treat myself to a jar since I've been a good girl, I have. Fire is my favorite. © Copyright Pammy Sue's Kitchen LLC, 2017. All rights reserved.